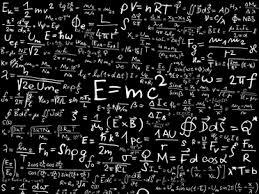 The beauty of Einstein’s well-known equation lies in its simplicity. Energy (E) and mass (M) are patterns of space. standing wave, resulting in the creation of a fundamental particle. vibrating at c squared (c2). As traveling waves become standing waves, energy is converted to particles. particles instantly devolve back into traveling waves. of the same fundamental motions of space.